The Isle of Arran Old Arran. In his long-awaited follow-up to his out of print postcard tour titles, Ken Hall takes us on a spectacular new journey round Arran, using archive material from his extensive collection. Puffers and paddle-steamers, agriculture and industry (what little there was) are included, as are all the settlements on the island: Brodick, Invercloy, Corrie, Sannox, Lochranza, Catacol, Pirnmill, Machrie, Shiskine, Blackwaterfoot, Sliddery, Kilmory, Lagg, Kildonan, Shannochie, Dippin, Whiting Bay, King's Cross, and Lamlash. 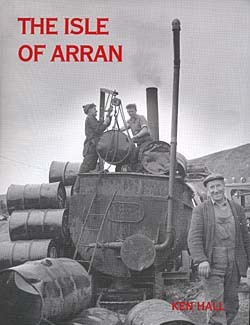 If you love Arran you'll love this book.